Finally published this month, this book has been three years in the making. 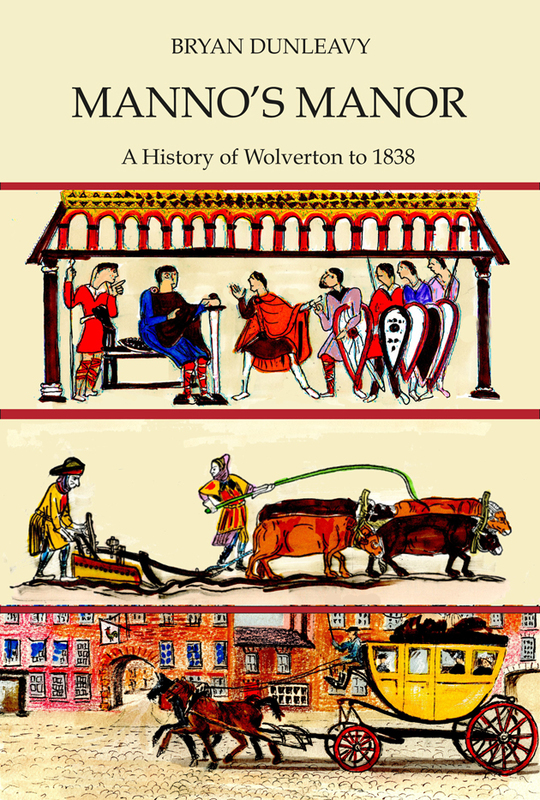 It tells the story of Wolverton from the earliest times up to 1838. I didn’t think it would be much more than a slim volume when I started out, but as I began to dig, i kept on finding out more stuff, and the book grew and grew. It’s been through a lot of ruthless editing since January and I have cut out about 40 pages; even so, it’s still almost 300 pages. Who would have thought Wolverton had so much history in it? Introductory chapter to put the earlier Wolverton into context. Survey of archaeological work revealing Bronze Age Settlement, Wolverton in the Roman Period, the Anglo-Saxon Settlement and the Situation in 1066. The first Baron, Manno le Breton, controlled over 15,000 acres in four counties, with Wolverton as the head of the Barony. His descendants prevailed until the middle of the 14th century when the male line ended, probably as a result of the Black Death. Stony Stratford emerged on the Watling Street at the end of the 12th century at a time when new towns were being founded, and it contributed greatly to the prosperity of Wolverton and Calverton. This chapter tells about Stony Stratford’s development in the middle ages. Parallel with the growth of Stony Stratford life on the manor continued to be prosperous and productive. Strip farming prevailed and the medieval village of Wolverton was a very different place from later years. The Longueville family came into the manor through marriage to the de Wolverton heiress at the end of the 14th Century. This chapter describes the rise of the de Longueville family and Wolverton and Stony Stratford’s development in the 15th century. The 16th and 17th centuries were years of profound social change. The church was reformed, Bradwell priory was dissolved, land was enclosed and the Wolverton village depopulated. The Longueville family continued in prosperity until they were almost bankrupted by their support for King Charles I and King James II. Sir Edward Longueville was forced to sell the manor in 1713 to Dr John Radcliffe, a wealthy London physician for £40,000. Radcliffe himself died a year later and the manor was put into the hands of a Trust. Radcliffe’s will stipulated the construction of a library in Oxford and later an infirmary. The income from the Wolverton estate funded these two pre-eminent Oxford institutions until the 20th century. This chapter describes Wolverton in the 18th century and the impact of the Radcliffe Trust on Wolverton. Thomas Harrison came to Wolverton as land agent for the Radcliffe Trust in 1773 and remained until his death in 1809. However he was much more than this and was active in a number of areas in the first phases of the industrial revolution and he died a wealthy man. He bult Wolverton House, which still stands today, and was instrumental in bringing the canal through Wolverton. The early years of the 19th century were golden years for the coaching trade, and Stony Stratford, which by this time was less than a day’s journey from London, became very important. Wolverton acquired a new and expensive church in these years. However, agriculture was in decline and the new railway age was just on the horizon. Here’s a site worth visiting if you have an interest in North Bucks history. They have books, collections of postcards, maps and other ephemera.